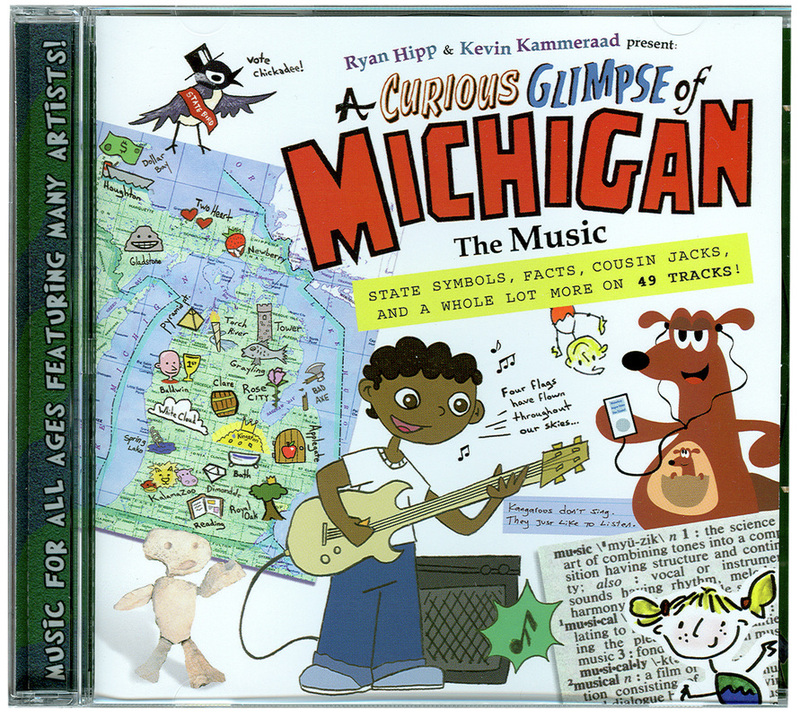 A Curious Glimpse of Michigan: The Music is an album filled with fun and quirky songs and interesting facts – all connected to the Great Lakes State. All 49 tracks are based on the poetry of the book (with the same name). "These 50 tracks touch on almost every musical genre, with lyrics celebrating topics like Michigan’s state bird (the American Robin) and fossil (the mastodon). Silly? Sure. Great music? Definitely. - Ages 4 and up. Rating: 3 out of 3 (a surefire hit)." "Nurture a love of new places in your child... if you've got the Great Lakes region in mind, you could spend some time with A Curious Glimpse of Michigan...you'll find oodles of cool trivia to discuss."